I swear by a relaxing bedtime routine, which includes a warm bath, cosy pjs, comfy bedding and a good book – for both children and adults! Here’s a British sleepwear and bedding brand for children that slots very nicely into a soothing journey into the land of nod. The Bright Company has carved a lovely little corner for itself in the children’s market – concentrating on gorgeous sleepwear and bedding for kids aged up to five. 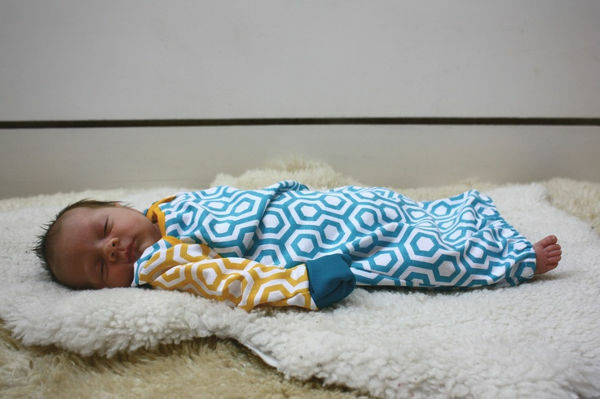 And the clever part is the two co-ordinate – so the children’s sleepwear echoes the same designs as the bedding. Such a clever way to get kids excited about heading off to bed. The underlining element through the current collection is strong graphic prints. And these translate beautifully into the unisex designs of the sleepwear. The signature pj in the collection is the Slim Jym (£24). I adore this style of sleepwear – the close fit ensures you can buy a couple of sizes bigger and get plenty of wear out of a set of pjs. 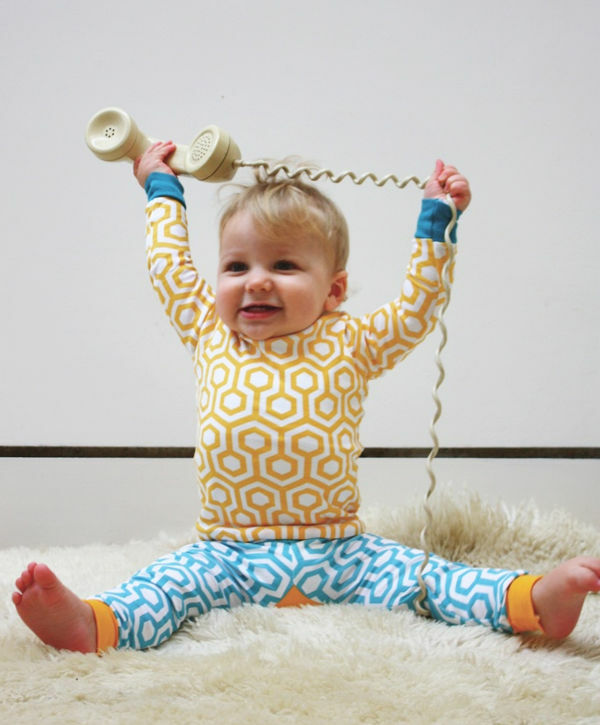 And kids just look so cute in this style of sleepwear. The Bright Company also makes a Short Jyms version (£20) for the warmer months. 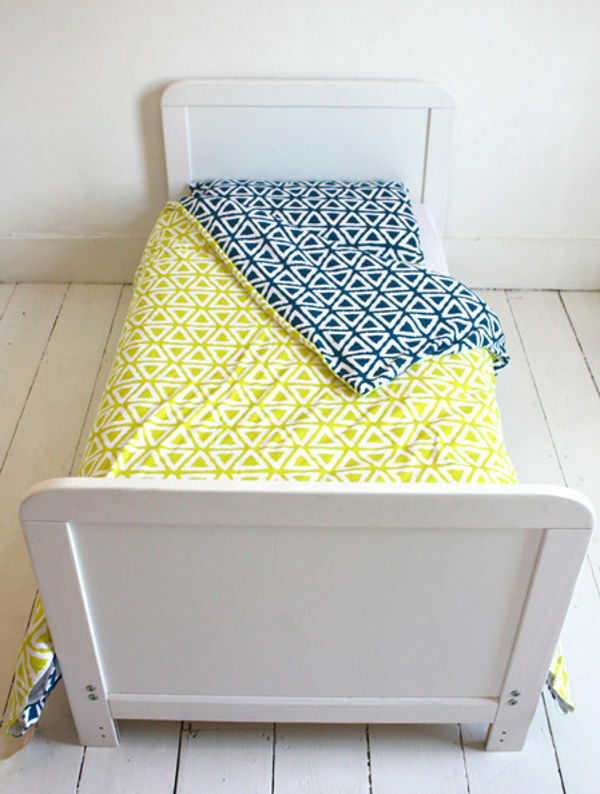 The Junior Duvet Sets repeat the same bold graphic design, and are priced at £50. Shop the collection at The Bright Company, with shipping to Australia available.